If you are charged with OVI, vehicular assault, or vehicular homicide your case can be heard in one of several types of courts. Misdemeanor OVI charges will be heard in either Mayor’s Court, Municipal Court, or County Court. You can find information about each type of court below. If you are charged with a felony OVI, vehicular manslaughter, or vehicular assault, your case may start in Municipal Court where an initial appearance and preliminary hearing will be held Over the course of 10-14 days. After that, the case will either be dismissed for a future indictment in the Common Pleas Court or bound over to the Common Pleas Court. Either way you should not delay in getting legal representation! If you are charged with a felony, there are things your lawyer should be doing at the municipal court level, prior to indictment, to protect you. Below is an overview of how OVI and other cases progress through the courts. In OVI and other criminal cases, there are primarily 4 different types of court hearings. Initial Appearance (also called the Arraignment), Pre-Trial, Motion Hearing and Trial. The following chart explains those hearings and what to expect at each hearing. PRACTICE TIP: The Administrative License Suspension appeal (ALS) is a separate civil/administrative matter, which is heard in the same court that handles the OVI case. Depending on the court, the ALS appeal may be scheduled with the Pre-Trial or the Motion Hearing, or it may be set separately. When you meet with us, we can tell you how your particular court handles the ALS appeal. The initial appearance is designed to move a case from the hands of the police to the oversight of the court. Our system prefers that courts get involved sooner rather than later. From the court’s viewpoint the two main purposes of the initial appearance are: 1) to make sure you have been served with the ticket or complaint and show up, and 2) to make sure you know what you are charged with and generally understand the charges. We like to meet with clients in advance of the Initial Appearance so that we can thoroughly explain the charges and begin making strategic decisions. If you have an initial appearance set, please contact us immediately. We will set up an appointment or, at least, schedule a telephone conference to discuss these matters. The initial appearance, by law, needs to be set within 5 (business) days of the date you were arrested. For more information about the 5 day rule, click here. At the Initial Appearance you will either plead guilty, not guilty, or have the matter continued (postponed). Entering a plea of not guilty is how we begin the process of attempting to successfully resolve your case. Often times, we will continue the Initial Appearance for strategic reasons, which we will discuss with you. Plea bargaining at the Initial Appearance: While a case can sometimes be satisfactorily resolved at an Initial Appearance, it is unusual and not the norm. Typically we will, at a minimum, need to get the police reports and other “discovery” so that we can analyze the case and be prepared to point out the prosecution’s weaknesses before attempting to negotiate a resolution. If your Initial Appearance is coming up quickly and you need more time to look into your options, contact us and we can discuss how you can do that. We use this event to begin to learn what the state’s case looks like by reviewing reports and documents available at that time; we review the initial paperwork and object to any defects in the compliant; we request (demand) preservation of videotape and other evidence; we file initial pleadings that will require the state to produce Discovery Materials including all reports, video tapes, audio tapes and other evidence. In short, we start putting the pressure on the state to provide a wide range of materials that we want to review to see where the strengths and weaknesses in the state’s case may lie. If you were arrested for OVI and are under an administrative license suspension, this is our first opportunity to appeal that suspension and address your ability to drive, depending on the court and the specific facts of your case..
Not that much is required of you. You will need to appear on-time and appropriately dressed for court. Depending on the court you are in, we will probably instruct you to check in and wait for us at a specific location. Generally, you will not need to be prepared to speak or take any actions; we will speak for you and know what actions need to be taken. You may not even have to appear before the judge, if you do, we will have time beforehand to discuss what will happen and, again, you will likely not be called upon to say or do anything. The pre-trial is really the first opportunity to sit down with the prosecutor and discuss the specific facts of your case. Our job prior to and at the pre-trial is to gather and review the available evidence in the case and begin to discuss with the prosecutor the strengths and weaknesses of the case. Often times, there will be multiple pre-trials in a case as evidence, such as the videotape, is often slow at being copied for us. Even though we start by demanding the discovery materials and video at the initial appearance, it can sometimes take a pre-trial for us to finally get all of the evidence. We want to have all the material at our disposal, so we can discuss, in detail, your cases and potential resolutions to the case. We use these pre-trials as a tactical advantage to keep the pressure on the prosecutor to provide all the evidence available in the case, so we have the most tools possible at our disposal. The pre-trial is usually when the prosecutor reviews the case in detail for the first time and the State makes their first offer in the case. You will need to appear on-time and dressed appropriately for court. Generally, you will not need to prepare to say anything or do anything other than being present. After we are done discussing the case with the prosecutor, we will have ample time to discuss with you what we have learned about the case and discuss any offers the State may have made at that time. Motion hearings are a specialty of Mr. Huey and the Huey Defense Firm. The motion hearing is the phase of the cases where the State has the burden to show they complied with all the appropriate legal rules in collecting their evidence. This is the first opportunity to cross-examine the officer under oath and attack the State’s case with law and science. Was your vehicle lawfully pulled over? Did they have enough evidence to detain you to conduct field sobriety tests? If you took the breath test, is that test valid, accurate, and able to be used against you? There are many other technical issues we look for to raise at the motion hearing. For a much more detailed examination of the types of evidence we will be examining, read the Evidence Against You section or Contact our Office. At the actual motion hearing, the State will be required to call the officer(s) as witnesses and introduce evidence to attempt to show that the officers did not violate the state or federal Constitutions and/or any laws or the required procedures. We use these hearings to: 1) to obtain exclusion of evidence and/or statements made by you, 2) to obtain a dismissal of the charges when enough evidence is excluded or certain important procedures were not followed, 3) to fully cross-examine the officers to; nail down their story; get them to agree with facts helpful to us; 4) to show the prosecutor and judge that the state’s case is weak and/or that the officers don’t stand up to our cross-examination, specifically re the roadside procedures, field sobriety tests and chemical tests. Because of the complexity of these hearings and Mr. Huey’s extensive knowledge of the issues to be litigated at these hearings (and prior successes at these hearings), before, during, and after these hearings can be the best step in the process to obtain a negotiated resolution. You will need to show up at the time we instruct you to appear (dressed appropriately) and check in. You will sit at counsel table, listen to witness, take notes and consult with us during the hearing. Normally, you will not have to do or say anything in court, other than take notes, during the hearing. We may meet with you in advance of the motion hearing to discuss the case and/or provide you the video to review. Typically, we will have a significant amount of time at the courthouse before, during and after the hearing to discuss the case. There are two types of trials – a bench trial, or a jury trial. A bench trial is a trial to the judge without a jury. Typically, we prefer a jury trial as judges are used to applying a much lower standard of proof at the motion hearing where they only need to find “probable cause.” The standard at trial is “proof beyond a reasonable doubt.” The worry is that judges will be inclined to subconsciously apply the lower standard that they apply all the time. And let’s face it, most judges are former prosecutors; some are better at putting that behind them than others. Judges also increasingly having a tendency to run for election as “tough on crime,” and their view of their public image in that regard may have a subconscious effect on their decision making. For all these reasons, if we proceed to trial a jury trial is the most likely way we will proceed. A jury trial is where a jury is empaneled to determine if you are guilty of an OVI or not guilty of OVI. True litigators like jury trials, it’s what we go to law school to learn how to do. Mr. Huey loves jury trial, but we understand that, for most clients, a full trial on the OVI can be a scary or nerve-wracking experience. Thus, in most cases we try to resolve the case favorable without the necessity of a jury trial. Mr. Huey approaches and prepares every case from the beginning as if it is going to trial. Thirty years of handling OVI cases has proven this to be a winning strategy. We find that by approaching the case as if it will go to trial, we are able to spot the weaknesses in the prosecution’s case earlier and better. This often results in a resolution without trial, often in the earlier stages of the case. It is no secret in the legal community that Mr. Huey likes (lengthy) motion hearings and trials. He teaches seminars for lawyers on how to conduct such hearings and try cases. This reputation means that prosecutors are less likely to test us to see if we will fold. They know that if we have a case set for a motion hearing or a trial we will be prepared to go forward. Sometimes a legal case is like a game of chicken. Lawyers test their opponents to see if they will flinch. Some lawyers are more talk than action. Prosecutors know we are not those lawyers. This often results in a resolution well short of trial. Thus, the reality is only a very, very small percentage of cases actually go to trial. When we meet for the first time we will start talking about what you can do to help us prepare your case. This is explained to some extent in a plan of action. So, in essence, you start helping us prepare for trial from the outset. What may be required of you as we get closer to trial will depend upon the case. Prior to any determination about going to trial, Mr. Huey will meet with you and go over, in detail, every aspect of the case and how that would relate to a trial, including a discussion of the benefits and risks of such a trial. If a trial looks as if it would be necessary or desirable in your case, we will discuss the complex and intricate process we use to prepare for trial at that time. In short, we are able to handle cases anywhere in Ohio. Our office is in Columbus and has been for thirty years. We are, of course, familiar with the courts, court personnel and prosecutors in all central Ohio Courts – this includes courts in Franklin, Delaware, Union, Licking, Madison, Fairfield and Morrow counties. We appear in all these courts frequently. We also handle cases in the rest of the state, in places like Toledo, Lima, Cincinnati, Cleveland, Dayton, Youngstown, Marion, Gallipolis, Van Wert, Ravenna, and Ironton, to name a few of the places we have recently handled cases. 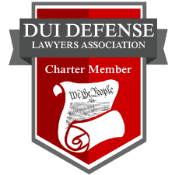 We are fortunate in that Mr. Huey has forged relationships with really good lawyers in just about all areas of Ohio who are willing to work on cases with us as “local co-counsel.” These are lawyers he has worked with as DUI Chair and former President of the Ohio Association of Criminal Defense Lawyers, President of the National DUI Defense Lawyers Association and through OVI presentations for the Ohio State Bar Association. Often these are lawyers Mr. Huey has trained and/or taught with. These are colleagues Mr. Huey knows and trusts. Typically, by utilizing local co-counsel, we can handle cases in any part of the state without additional legal fees. (They save us time handling the simple matters like obtaining discovery). And their knowledge of the goings on in local courts and relationships with the personnel are extremely valuable. 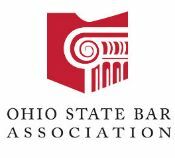 If you have a case anywhere in Ohio do not hesitate to contact us. Often times, our expertise and reputation combined with local co-counsel’s expertise and knowledge of the local players is what you need to get a successful outcome in your case. 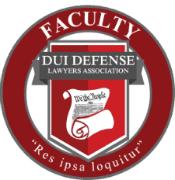 This is particularly true in more serious cases like vehicular assault and vehicular manslaughter where, truly, only a handful of attorneys statewide have the expertise needed to handle the case. Whether it is an OVI or a case involving injury or death, if the outcome of your case is important to you, please call us to see if we can help. 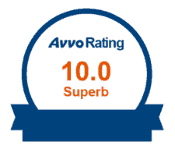 If we cannot help you, we will refer you to the lawyer in the area we believe can best help you. Mayor’s Courts are small, unique courts only found in Ohio. They are different from all the other courts because they don’t have elected judges – the mayor of the city, or a magistrate appointed by the mayor, hears all cases in that court. They are not courts of record, meaning no transcripts are taken in these cases and you have the right to transfer your case to a different court by demanding a jury trial. In addition, mayor’s courts only have jurisdiction over crimes charged under that city’s criminal code. In OVI cases, they are further limited to only being able to hear an OVI case if it is your first offense within ten years – if you have a prior within the previous 10 years, the Municipal Court in that jurisdiction will hear the case. Mayor’s courts are generally a bit more informal than other courts. Each mayor’s Court has a prosecutor hired by the City to represent their interests. If you are convicted of an offense, the mayor or magistrate has the same authority to sentence as other courts, which can include up to 180 days in jail on first degree misdemeanors. There are two major differences in mayor’s courts compared to other courts. The first big difference is you have no right to a jury trial in a mayor’s court. All trials in these courts are conducted by the mayor or magistrate, who makes the final determination on your guilt. If you want a jury trial, your case will be transferred to a municipal court for a judge to conduct the jury trial. In addition, if you are convicted in mayor’s court, you have a special right to appeal called a de novo appeal. That means that you can appeal your conviction to the municipal court, which gets rid of the conviction and completely restarts the entire process in a different court. Because Mayor’s Courts can be a bit confusing, below we have attempted to highlight a few of the most commonly asked questions about Mayor’s Court. How to get the best results in Mayor’s Courts. Mr. Huey has been negotiating successful resolutions of OVI cases in mayor’s courts for his entire practice. To successfully resolve a case in mayor’s court, your attorney’s reputation and experience in that court are critical. As was discussed above, Mayor’s Courts are local community courts presided over by the elected mayor or an appointed magistrate, not a fully elected judge. In addition, the City also hires a prosecutor to represent the City’s interest in the court. Each mayor’s court and prosecutor have their own specific way they like to handle OVI cases. Having an attorney who understands the local customs and practices, like Mr. Huey, can help in successfully resolving a case. Please understand that “who your lawyer knows” will not guarantee that a case will be resolved the way you want to be resolved. But it is helpful for a lawyer to know what issues the prosecutor finds important, what outcomes the prosecutor may be comfortable (or uncomfortable) with in a particular set of circumstances. Additionally, if your lawyer has discussed or successfully litigated similar issues with the prosecutor before that certainly can help in attempting to resolve the case. In addition, Mr. Huey especially likes representing clients in Mayor’s Courts, because the unique structure of these courts allows for extra opportunities to negotiate a case, as compared to a case in other types of courts. As detailed above, negotiations between the prosecutor and the defense lawyer occur during a pre-trial conference. In mayor’s court, a skilled lawyer with a good relationship with the prosecutor can get “two bites at the apple” trying to resolve the case. That is because of the unique nature of mayor’s courts. While a case is in mayor’s court, the prosecutor has incentives to keep the case local and try to resolve it to the satisfaction of all parties (and keep a higher percentage of the money). That means that there be good chances to negotiate while the case is in mayor’s court. If, however, no resolution can be reached, the case can be transferred to a municipal court at any time, which starts the process completely over and allows several more opportunities for negotiation prior to the resolution of the case. In addition, a lawyer’s reputation for litigating a case matters more than ever in Mayor’s court. Due to the ability to have a completely new trial in municipal court, mayor’s courts rarely engage in litigation; if the case cannot be resolved by negotiations, then it is usually transferred to Municipal Court. However, sometimes the transfer to municipal court involves the city having to change prosecutors or spend more money fighting the case. In those cases, having a lawyer with a reputation for successful litigation can help persuade a prosecutor to resolve the case sooner, rather than going through the extra time and expense of transferring a case to Municipal Court to litigate. In fact, Mr. Huey’s sterling reputation for preparing every case as if it is going to be litigated is the cornerstone of his reputation in mayor’s court and a crucial factor in his ability to successfully resolve many cases in Mayor’s Court. Municipal courts are where the vast majority of OVI cases will be heard. Municipal Courts are the trial courts that hear misdemeanor cases in Ohio. A municipal court can be limited to a single city or may hear cases from the entire county. In Franklin County and other central Ohio counties, the municipal court hears cases from the entire county. 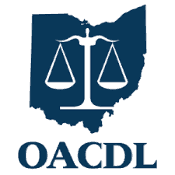 You will be in municipal court if you have been charged with a misdemeanor offense under the Ohio Revised Code, or if you were originally in Mayor’s Court and demanded a jury trial. In addition, people who have been charged with a felony will initially appear in municipal court for the setting of bail and possibly an initial hearing. Judges of Municipal Courts are elected and are authorized to set bail (in misdemeanor and felony cases), issue decisions, and sentence people to jail who are found guilty of misdemeanor offenses. Their decisions are final and subject to appeal in the Court of Appeals. County Courts are virtually identical to municipal courts. They are part-time courts in smaller counties, where the case load is not large enough for a full-time court. They have jurisdiction over the entire county, with the exception of any area in the county already covered by a municipal court. They have the same powers and authority of the municipal courts, including the ability to sentencing a person to jail. In municipal courts, it is important to hire a lawyer with experience practicing in that court. Each court (and judge) runs their courtroom in their own unique way, with their own procedure for getting things done. In addition, having a good relationship with the court staff, bailiffs, and clerks is essential to knowing how to get things done in a particular court. When hiring a lawyer, it is important to learn about that lawyer’s relationship with a particular court. Here at the Huey Defense Firm, we take pride in our intimate knowledge of the Central Ohio Courts . Mr. Huey has successfully handled cases in each of these jurisdictions and is familiar with the specifics of practicing in those courts. In addition, Mr. Huey takes great pride in the close relationships he has developed with the judges and court staff. Although knowing the judge and prosecutor does not guarantee a particular result, it is of great use while negotiating and discussing a case with court personnel. Knowledge and experience of a particular court helps in two major ways. First, knowledge of a particular court’s procedure and practice helps our firm realistically discuss the case in order to achieve the best resolution possible. By knowing what a particular judge or court does in certain situations, it can help facilitate a smooth negotiation based on the specific facts of the case. In addition, Mr. Huey’s reputation as an extremely knowledgeable OVI litigator means that the judge and prosecutor are very familiar with the successful litigation and trial strategies of Mr. Huey. They know that his evaluation of a case carries great weight, due to his ability to notice and argue all issues in the case and the fact that here at the Huey Defense Firm, we prepare every case as if it is going to trial. This through examination of every case is part of Mr. Huey’s reputation in all the courts we practice in, which is a crucial part of getting the best result for you! Common Pleas Courts are the highest-level trial courts in the State, authorized to hear the most serious felony criminal cases. There is a Common Pleas court in every county with one or more judges on the bench. These courts have county-wide jurisdiction. The only criminal cases that end up in Common Pleas Courts are felony cases, after a person has been indicted by a grand jury for a crime. If you are in Common Pleas Court, contact us immediately as the risks and penalties associated with these crimes are significant. In Common Pleas, you are facing prison time, significant fines, and worst of all – a felony conviction on your record. The consequences of a felony conviction can be life-altering and have serious repercussions for your career and family. If you have been charged with Vehicular Manslaughter, Vehicular Assault, Felony OVI, or other felony offense, please contact us now to schedule a consultation about the serious charges you are facing. Handling a felony case in a Common Pleas Court requires the most knowledgeable and experienced lawyer available, given the real risk of a felony conviction and prison. 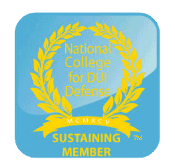 Successfully defending a felony takes more than just good negotiating skills – it takes a deep and thorough understanding of the applicable law, a critical eye to review all available evidence and find flaws and weaknesses in the State’s case, and an experienced trial lawyer with a proven history of successful litigation to fight for you. Tim Huey meets (and far surpasses) all of those qualifications. Mr. Huey has successfully defended several vehicular homicide and vehicular assault cases, as well as other very serious cases involving alleged sexual assaults and rapes, saving his clients from substantial prison time. He also has an extensive knowledge of the Ohio Revised Code, having just been appointed by the President of the Senate and Speaker of the House of Representatives to sit on a prestigious committee to examine and re-write the entire criminal code in Ohio. When you are facing a serious felony charge, you cannot afford to hire anyone but the best to defend yourself. 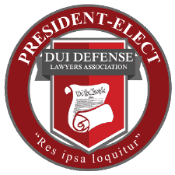 Contact our office today so you can learn more about Mr. Huey’s commitment to defending the most serious felony charges. The Courts of Appeal in Ohio are divided into 12 district courts, which hear all appeals from municipal and common pleas courts within their district. District Court judges are elected from the entire district they serve in. The Ohio Supreme Court hears appeals from the District Courts in their discretion. There are 7 justices of the Ohio Supreme Court elected statewide. Courts of Appeal are extremely different from the trial courts, where the judges (and juries) hear evidence and decide if you are guilty or not. The Courts of Appeal exist to review legal decisions issued by the lower courts, and reverse decisions if they do not follow the proper law. In deciding the law, the District Courts sit in panels of three judges, who listen to the legal arguments of both parties and then issue a written ruling. If you have been convicted of a crime, you have a right to appeal to the District Court. It is important to note that the District Court is not a new court that you can go and re-argue you case in. If you appeal, you have to identify a legal error that was made in the court below, and if you win your conviction can be tossed out, and the process in the trial court will likely start over with the correct law applied. Successfully handling appeals requires an attorney who has a deep knowledge of the law and can clearly and convincingly write and brief complex legal issues. In a typical appeal, the lawyer will have to review the entire record of what happened in the court below, and then fashion a legal argument regarding why the decisions below were incorrect. In order to get the best result in an appellate court, your lawyer must have very detailed knowledge of all of the relevant statutes and caselaw and be able to explain those intricacies to the Court of Appeal judges who are writing the opinion. You want lawyers who have previously argued in front of the court and who are very knowledgeable about recent trends in the law and cases that have been issued to strengthen your argument. 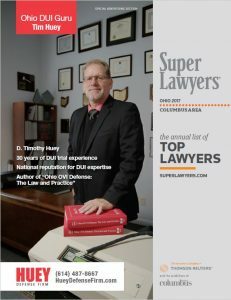 Mr. Huey is one of the leading appellate lawyers in the State, having argued (and won) several notable cases at the Ohio Supreme Court relating to the accuracy of breath test machines and other OVI issues. All the attorneys at the Huey Defense Firm are experiences appellate litigators who frequently review and dissect all the statutes and caselaw from around Ohio to keep themselves informed and up-to-date on the constantly changing law. In addition, Mr. Huey was also a member of a prestigious committee appointed by the President of the Senate and Speaker of the House to examine, review, and completely re-write Ohio’s entire criminal code. We respectfully submit that precious few, if any other Ohio lawyers have as deep of knowledge of Ohio’s statutes and caselaw as Mr. Huey. Yes. I can provide more information. No. I would prefer to speak with you directly. We focus almost exclusively on Ohio OVI – DUI Defense. 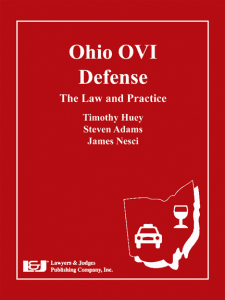 Founded by nationally known and top-rated Ohio OVI - DUI defense lawyer D. Timothy (Tim) Huey, our firm is dedicated to providing an aggressive but highly professional defense to your Ohio OVI – DUI charges. Disclaimer: The information provided on this website does not constitute legal advice. Any exchange of information via this website does not create an attorney-client relationship.